The 5 Stages of Consumer Decision Making that all your patients use. When patients buy your services, they all engage in a decision-making process. Research shows that one of the major problems with businesses is that they fail in supporting the customers in this process. By understanding your patients needs and concerns as they progress through the decision-making cycle, you can build better and more successful medical practice. Imagine that you need a new cell phone. The first step is recognizing your need. (You can insert 'want' or 'desire' instead of need.) Though you may have an idea of which phone you would like to purchase, you research your options to narrow the possibilities. If you're a male, you go online and investigate manufacturers, resellers, and independent consumer organisations. You ask friends and colleagues for advice, and you visit a few stores to "kick the tires." You compare you options and finally decide to purchase what seems to be the best alternative, based on criteria like design, features, price. For men, this is a linear process. If you're female you go through a much different, non-linear, decision making process that takes into account different variables than males typically choose. Men perceive this process as introducing a lot of extraneous noise into what should be a straight forward decision about cost vs.. benefits. Women are actually much harder to please because they're also buying a cell phone based on: What color it is. How it fits in their purse. cute factor, etc. They're deciding how much 'faith or trust' to put in the business. One process is not 'better' than the other, they're just different. Warning: This is where many men don't get it. Women are using criteria that men don't understand so men tend to disregard this process. While women are harder to please, they are much more loyal consumers if you can satisfy them initially. Men look for features, women look for faith. After your purchase, you assess whether it lives up to your expectations. You might find that the phone is able to do what the manufacture promised, but that the navigation is unmanageable. You decide that you will never buy this brand again. The Web is a great tool for information research. Studies show that the Internet is now the primary means by which people get key information. This counts for commerce in particular. People expect to be able to find information about products they are considering buying, even if a company doesn't sell its products online. Considering peoples' high expectations about the information and services available online, it's disturbing to see just how bad commerce web sites are at selling. Lets look at a study on consumer buying patterns online as an illustration: From their tests of consumer commerce, researchers from the usability consultancy UIE have discovered that the buying process acts as a sieve, where customers are inadvertently filtered out at each stage of their decision-making process. UIE's studies show that out of 100% of purchase-ready customers completely intent on buying, only 34% will actually make the purchase. Studies show that buying process acts as a sieve, where customers are inadvertently filter out at each stage of their decision-making process. At the information search stage, 9% weren't able to find the products they were looking for because they couldn't identify the right product category or find product options. 8% of the shoppers who succeeded in finding products gave up because the product lists didn't provide enough information to identify purchase options, or because they were confused by going back and forth between product lists and product description pages in order to decide if the products would fit their needs. 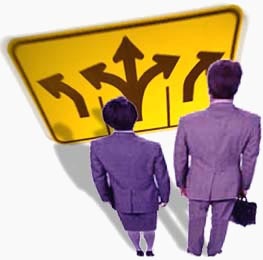 UIE's researchers found that the major problems occur when customers want to evaluate alternatives. Only 25% of the shoppers who reached this stage proceeded to the next. Some stopped because they realized none of the products would fit their needs, but most because the product information was so inadequate that they couldn't tell if the products they were interested in satisfied their needs. At the purchase stage, 13% dropped out because they didn't want to go through the required registration process or because they where disappointed by poor shipping charge policies. UIE also found a surprisingly high amount of problems in the purchase evaluation stage. 11% percent of the shoppers where either so unhappy with a product that they returned it. Some of the shoppers told UIE that they returned a product because it wasn't what they expected, which suggest a failure in setting up the right expectations in the product evaluation stage. Businesses simply fail in supporting the consumer decision-making process by not taking their customers' information needs into account. 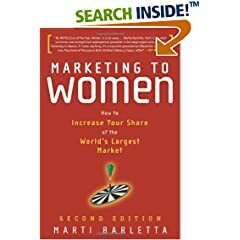 Recommended reading: Marketing to women. As a Physician, you will have little chance of knowing exactly which information needs patients have when evaluating specific services or treatments. To support the ' decision-making process, you need to understand which needs and concerns they have when making a purchase decision. There will often be patients who unintentionally mislead you by discussing a number of issues that appear to be of equal weight when they really have an overriding concern. You need to recognize how to discern exactly what a patients hierarchy of wants is. The most effective way of discerning what is motivating your patients is to ask a number of very specific questions during a consultation. Surface physicians are trained, sometimes through trial and error, to ascertain the specific motivations that brought a patient in so that they can support the patients decision-making process. The basic prerequisites for patients making their way through the information search stage is that they are able to find services that fit their perceived needs, and that they can easily identify their available options. How will potential patients be inquiring about purchase options? What basic information do patients need in order to identify purchase options? What information do patients need in order to decide which product criteria are important to them? The problem with the operations in most clinics is that there's systems in place to effectively solicit this information. We saw above how a large number of customers dropped out at this stage simply because the information provided was inadequate. They couldn't decide whether the products they were interested in would fit their needs. All of your staff (especially the physician) should be acting as a skilled educator, and have answers ready to any question or concern that the customer might have. What information does the patient need when evaluating treatment alternatives? Which product evaluation criteria will customers be using and which are most important? Which concerns will the customers have and how can we address them proactively? How can we encourage patients to maintain contact with the clinic? At this stage emphasis should be on providing the easiest possible way for patients to carry their purchase through. In the UIE example, we saw how obstructive policies made the process difficult. Patients want an easy way to find out where and how to buy. The outcome of the post-purchase evaluation stage is a level of customer satisfaction or dissatisfaction, which is determined by the customer's overall feelings about the effectiveness of the treatment and the experience. The number on effect on patient satisfaction is the management of patient expectations. Most patient dissatisfaction is a consequence of not encouraging accurate customer expectations at the product evaluation stage. In order to avoid this, we have to make sure that the entire system, from initial contact to treatment, sets up the right expectations. Once we feel confident about customers' needs and concerns, our next challenge is to decide how to present the information to the customers in a way that supports the decision-making process. This is as much science as art. It is common for physicians to inflate their abilities in this regard. It's been my experience that every physician can benefit from constructive criticism and training in presentation. Patient feedback to physicians is clouded by the patient/physician relationship. The result is that physicians feel that they are perfect communicators when they are not. The decision making process happens in every instance. When confronted with the poor state of customer service and retention in medical clinics, patient are left to choose between providers. At each step of the decision making process, these clinics lose patients because staff never perfectly addressed their perception of what would be a 'perfect solution'. Your medical spa staff should be supporting patients no matter where they are in the decision-making process. They should address their needs and concerns at every point. Understanding the decision-making process, and how specific customers engage with specific needs is a prerequisite for any clinic with an ambition to turn visitors into patients.